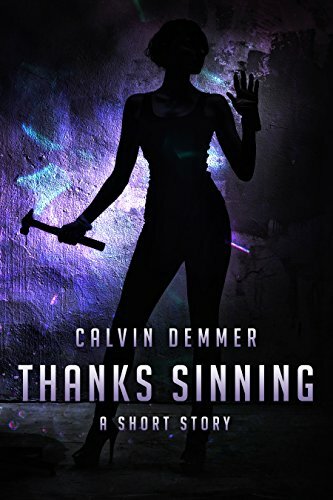 Thanks Sinning is the third short story to be released by upcoming horror writer Calvin Demmer. "It all started with a glass shattering..."
Deshawn Williams sits in a dingy bar contemplating how his life took a wrong turn. The only source of excitement in his life was watching a heated exchange take place between a barmaid and customer. The barmaid accused of being a homewrecker looks like trouble, one to be avoided but when she approaches Deshawn stuck in hs quiet life he is powerless to resist the danger that surrounds her. He's supposed to be going home to his mum for dinner for Thanks Giving. She takes him away and promises him a night of passion if he can do one thing for her. But what she asks of him goes against everything he believes in. 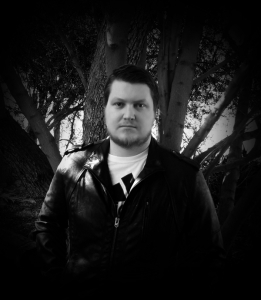 He takes a second look at her and realise she's not all she seems but can he show her that sin doesn't always win. I really enjoyed reading this great little tale, highly original and a great ending. Did Deshawn conquer evil? Or has he just set it free. I loved the little touches in this tale such as the name of the bar maid!